It was definitely surreal to meet the actor Michael J Fox, but for me it was mind-blowing to meet Michael, the person and patient. 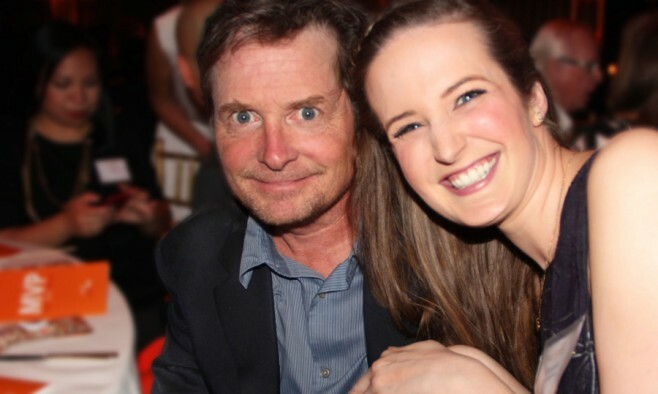 Originally from Graz in Austria, 24-year-old Daniela Goldgruber was invited to an awards dinner with Michael J Fox after raising almost US$8,000. A shining example to her peers that everyone can take action against Parkinson’s, we caught up with Daniela to hear how her fundraising efforts all began with something as simple as looking in her wardrobe, while little did she know that it would lead to a special invitation from a certain Parkinson’s activist. Daniela, tell us about your personal connection to Parkinson’s? My grandfather, with whom I had a very close relationship, lived with Parkinson’s for over a decade and passed away in 2013. After that happened, I felt it was really important for me to do something, especially in Austria where there was not a lot going on in terms of campaigning. It became very clear to me that I had to use my voice, spread awareness and most importantly fight Parkinson’s. How did it affect the family? I think the hardest part was to watch someone suffer in front of you and not be able to help, and that was really hard on my entire family. I really wanted to give other people the hope that they can help their loved ones. So I just had a tiny idea to raise money that got a lot bigger than anticipated. I’d never done fundraising before, but I knew I had to sell something. So I thought of setting up a second-hand clothing bazaar selling really nice, but unwanted clothes. I just opened my closet and noticed there were a lot nice clothes that I didn’t fit me or I don’t really wear anymore. And it really took off ever since! So many people donated their unwanted clothes, lots still with the tags on. 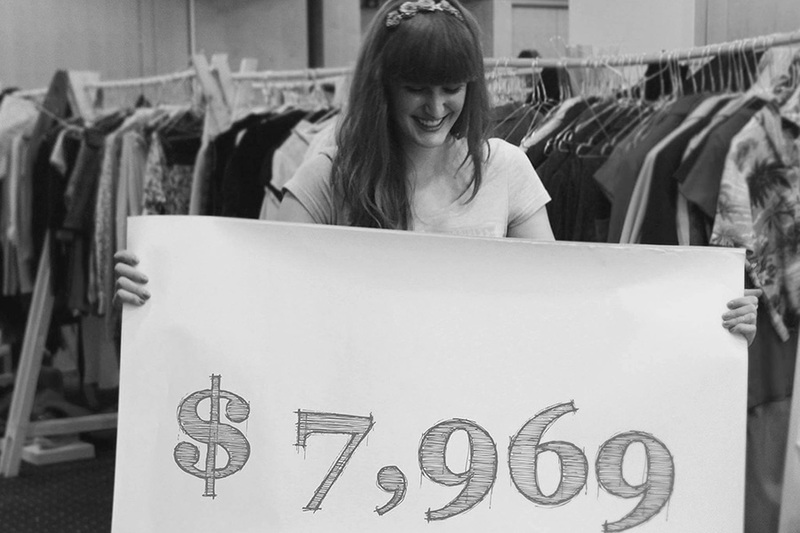 We ended up using a large hotel room in Vienna to host the clothes sale, and more than 500 people showed up. From their purchases we were able to donate almost US$8,000 to the foundation. Why did you decide on the Michael J Fox Foundation as your charity of choice? I knew I had to decide on a charity, so I did a lot of research. The thing I loved most about the Michael J Fox Foundation is that there’s such a team spirit and it’s really easy to help. They really appreciate your efforts and support you all the way. I got in touch with them and then became the first person from Austria to join Team Fox. They were thrilled to have reached someone overseas and were delighted to have me on board. So I’m really glad I made that decision. How did the Team Fox Austria come about? Once I became a Team Fox member, I started Team Fox Austria on my own, off the back of the success of the clothing project. It’s crazy to think that it all started from this tiny idea that just took off, and I really have to thank my family for all their help and support on the project. Something out of the ordinary happened next, right? Yes! 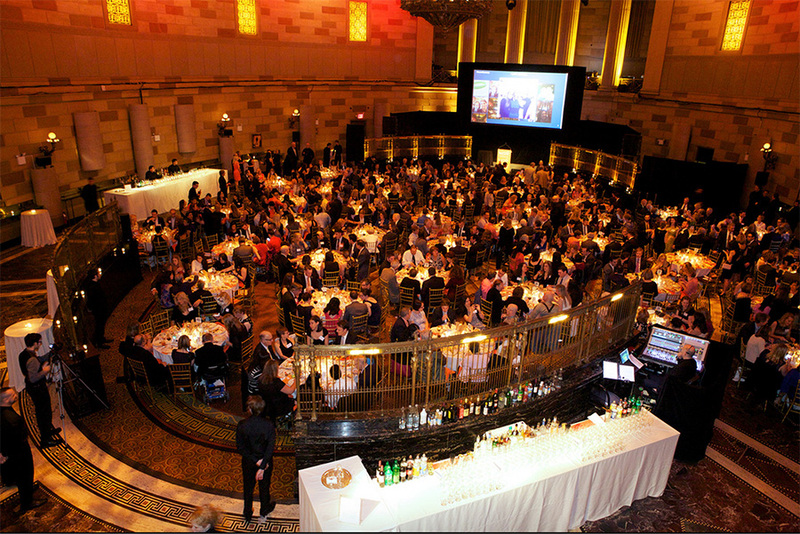 I remember it was February and I just opened my email, and there was an invitation from the foundation saying that I had been chosen to attend the foundation’s MVP (‘Most Valuable People’) Awards dinner in New York on 10 April 2015. I was absolutely stunned and honoured! What was extra special for me personally was that the date of the awards dinner was the same day my grandfather passed away two years earlier. Tell us about when you met Michael himself. I was inside Gotham Hall, New York, chatting to people I had met earlier that day at the Parkinson’s research roundtable when I turned around and suddenly he was there! It was definitely surreal to meet the actor Michael J Fox, but for me it was mind-blowing to meet Michael, the person and patient. Can you remember what you chatted about? In between speeches a lady came up to me and asked me to return to his table, as he wanted to talk to me again. I thanked him for what he’s doing, and told him that I really meant and appreciated it. But he said, “No, no. Thank YOU!” It was a bit of a blur but that’s what I remember from the conversation. The honour was and still is indescribable. Since I’ve seen what Parkinson’s can do to a loved one up close, to be able to do what he does while living with it, is completely amazing. What was it like to meet him face to face? He was so positive in that moment when we shook hands. It must be incredible for him to see how far his work reaches internationally and also to reach younger people. I was one of a few fundraisers in their 20s and while the majority were from the US and Canada, an Irish fundraiser and myself from Austria were the only people representing Europe. The dinner ended with a slideshow of everyone’s work on a highlights reel. To see so many people happy, and to see everyone’s incredible work was really inspirational. How important is it to have a figure like Michael J Fox leading the way? To have the name associated with the foundation is a definitely big help and a good thing. He uses his voice and position to reach more people while at the same time being so humble and positive. He’s an inspiration to me and to I don’t know how many other people. I think by doing what he does, other patients look at him as an example to be positive. What makes all the campaigning worth it? I especially remember when one lady came up to me in Austria who thanked and hugged me for what I was doing (one of her family members is living with Parkinson’s). It makes it all worthwhile to see the look in people’s eyes and know how appreciative they are. What’s next on your campaign agenda? I thought long and hard about what to do next. Although the clothing market was successful, I wanted to mix it up! Skydiving was always something I wanted to do, but I’m really scared of it! So the second Team Fox Austria project is called ‘The Sky’s The Limit’ and will take place in January 2016. I want to show that there are people out there willing to cross their own limits, because the patients have to step out of their comfort zone every single day. Lastly, what advice would you give to others who are wondering how to get involved in fundraising? It’s so much easier than you think! The most important part is to have you heart behind it. For that year I really gave it 110%. It’s so important that you care, and then the rest follows naturally. There are so many people willing to help, once you’ve got started. I was surprised by how many donated and supported me. I noticed in that whole process, everyone has a voice, not everyone chooses to use his or hers, but it’s important that you do if you find something that you really believe in.